With Jimmy all has begun. Katrin met Jimmy during her stay in Uganda while she was preparing the P7 class for their PLE exam at the Kids Pioneer School in Bugiri located directly on the Victoria lake. Together with her volunteer colleague Jason Edwards she decided to support Jimmy going to secondary school by asking her private network for support. Jimmy lives together with his grandmother and his 5 siblings in Bugiri and went since 2013 to the secondary school "Taibah International School" for S1 to S4 School. With his exam after S4 we decided to send Jimmy to a more academic school for S5 and S6 to keep the chance for him open to have a free University place in Uganda with a great academic grade. After the first adaption weeks Jimmy develops there good. 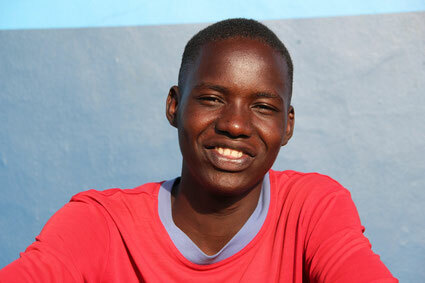 Jimmy is also working for us as an active member, as he is an adult with 18 and could also receive money transfers. He is receiving the money transfers from us, paying the school fees directly to the bank and giving the remaining money to the kids directly for shopping all the school needs. He is an reliable and smart active member for us and its a real pleasure to work together with him. Katrin has known Baker during her time at the Kids Pioneer School when Baker was attending P6 and asked her for supporting him in receiving an operation for a thyroglossal cyst. Baker has finished the Primary school in November 2014 with the official PLE exam and is attending S4 in Kisubi Maapera Secondary school in 2018. Baker is an orphan boy who has lost his parents in an accident, has no direct siblings and is living with his uncle and his cousins. In the school Baker has shown that he is a smart, polite and mature boy who understands taking his life in his own hands and not disappointing people who agreed to support him. Peace has finished her Primary school in November 2014 with the official PLE and is attending S4 at Kisubi Maapera Secondary School. She lives together with 1 brother and 3 sisters at her grandmothers place. Her mother is living in Kampala and works for not regular jobs to get money for helping the family. The siblings of Peace are not going to school. Based on a paralysed foot Peace is not able to do a physically hard job in her future to finance her life. She is dependent to get a great school education and great job preferably in an office to have a good life. 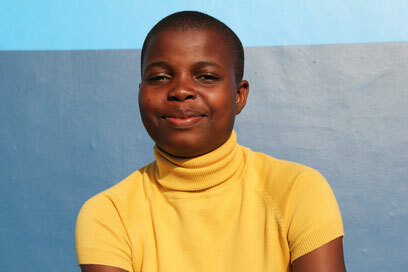 Peace is a shy, clever and hardworking girl who enjoys reading novels in her free time. Maria has passed her PLE exam in November 2014 and is attending S4 at Kisubi Maapera Secondary School. Maria is living together with 2 brothers and 2 sisters with her mother who is supporting her kids by going to work for a small salary. Maria is a smart, hardworking and quiet girl who loves to read novels in her free time. In the future she would like to help other people by being a nurse or a doctor. 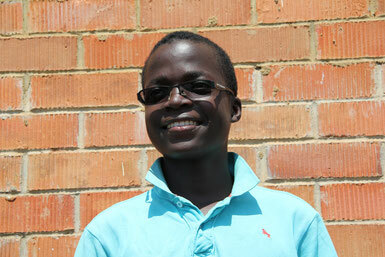 Eric has finished his S4 school exams and is now going to Elite College in Entebbe for S5 and S6. The school was chosen for him together with his sponsor. 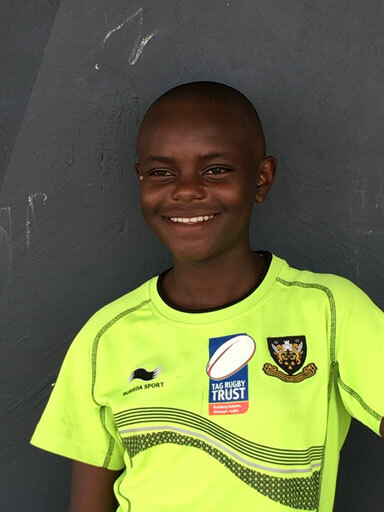 Eric was sponsored till begin of 2016 through a privat sponsor directly and upon request of the sponsor we have decided to include Eric into MUKISA activities and support the sponsor in all administrative tasks. All costs related to Eric are paid via donation by the sponsor. His school reports and performances will be not published here but directly send to his sponsor. 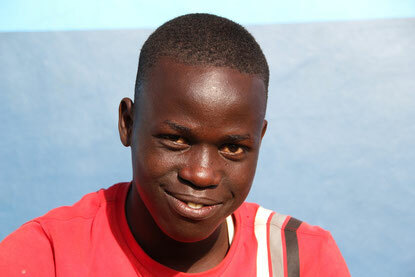 Eric lives with his aunt and his uncle in Bwerenga. He loves football and tag rugby and in the school he loved to be part of the debate club. Josephine is 14 years old and has finished her P7 at the Kids Pioneer School in Bugiri successfully being the best student of her class. Josephine goes to Seroma Christian Highschool since beginning of 2017 and brings excellent school results home. 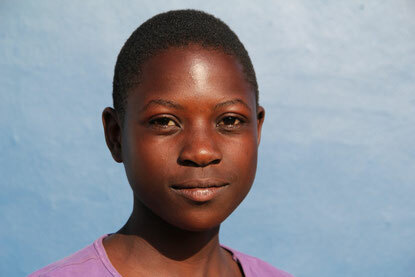 Josephine is a very hard working, friendly and smart student, who also likes to do sports. She has 2 brothers and 2 sisters, but she lives only with her mother and her little brother. Her mum works on a farm and receives only few salary that she can not pay the school fees. Her ex-husband and the father of Josephine is not paying any money for the kids. 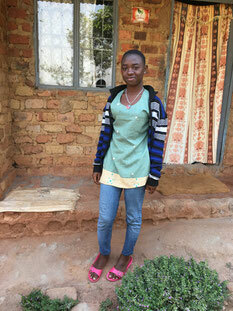 Sanyu is 17 years old and goes with our support to the secondary School "St. Johns College" in the area of Entebbe. She lives with her grandparents. Her parents are still alive but living far away and have no work where they can earn money due to psychological issues. Sanyu has 2 sisters who are also not living together with her. She would like to be a nurse in the future to help other people. We support Sanyu for the school fees for a day shool for the next 2 years (S3 and S4) that she has the possibility to do her exams. Sanyu is a very smart, hardworking and calm young lady who is really appreciating our support. More pictures of our kids you could see on the German page: "Unsere Kinder & die Schulen"
Our kids are going to Secondary schools which we have carefully chosen for them. These schools offer a broad spectra of education, security and services. Jimmy went in S1 to S4 to Taibah International School directly on the Entebbe Road, approximately 20 km far away from his home. Taibah offers small school classes, a broad and interactive school education, a great school service with small dormitories and regular activities, creative and sports classes and a healthy nutrition. In addition to that Taibah makes a difference to other Ugandan schools which disciplining their students by following rules and defining punishments besides beating them by teachers with a stick. A broad education, interactive teaching, small school classes, healthy nutrition and additional services have their price what we could see in the school fee. MUKISA had to pay approximately 2'100'000 UGS (approx. 750 CHF/USD) per school term but received a much better service and education than in other Ugandan Schools. Baker, Peace and Maria go to Kisubi Maapera Secondary School since February 2015 with the support of MUKISA. Maapera is a Ugandan catholic governmental school which is placed approx. 10 km far away from their home in a secure area. The school seems to us much more organized, neat and well maintained compared to other schools we have visited. Furthermore the dormitories, class rooms as well as sports facilities seem to be well organized and highly maintained. We have decided to send all 3 kids to the same school to keep the administrative workload and costs for MUKISA in a lower value. The first year at Maapera was a probation year for the kids at the school as well as for the school itself. After receiving positive feedback from our 3 kids, we decided to keep them going to Kisubi Maapera school. Maapera costs approx. 950'000 UGS (approx. 425 CHF/USD) per term. Jimmy goes since beginning of 2018 to this secondary school to attend S5 and S6. This highschool is listed on the official list of the top 100 schools in Uganda and is placed in the first third of the Schools. The school has a high academic reputation. With this school we would like to give Jimmy the chance to have a great academic grade and the chance to have a free university place in Uganda. Josephine is going since beginning of 2017 to the Seroma Highschool. Also Seroma Highschool is a very academic school who is requesting great results and hard work from their students. As Josephine is a very intelligent and hardworking student we have chosen this school for her and her Needs. Besides the academic education Seroma is also offering further educations in theater, sports and culture. Sanyu is attending this local school which is near to her grandparents home and which is also offering day school besides Boarding. As Sanyu has already attended S1 and S2 at this school we have supported her to remain at this school and we are convinced that this school is giving her the same possibilities as other schools for a good grade. Since beginning of 2018 Eric is attending the school classes S5 and later S6 at the Elite Highschool. The school was chosen together with the sponsor of Eric. Elite Highschool is a completely new build school and during the next months and years they need to establish good accommodations, school rooms and classes. Pictures of the chosen schools you could find on our German page: "Unsere Kinder & die Schulen".